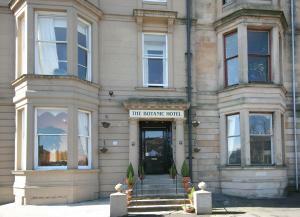 Choose from 9 hotels and guest houses in Glasgow Area. Shown below a just a selection of the hotels available. To search within an area please use the menu on the right. Onslow Guest House - In a quiet residential area, just 1.5 miles (2.4 km) from Glasgow's city centre, this large, semi-detached Victorian house offers free parking, comfortable rooms and freshly cooked breakfasts. In the Glasgow suburb of Dennistoun, the Onslow Guest House is within easy walking distance of the area's shops, restaurants and traditional pubs. The guest house offers comfortable, clean rooms and a warm, friendly welcome. Many of the spacious rooms have large bay windows and beautiful original features, including traditional fireplaces. All rooms have tea/coffee and TVs with Freeview digital channels. Some rooms have alarm clocks and fridges. En suite rooms and rooms with shared bathroom facilities are available. Guests can relax in the public room, which has free Wi-Fi, a dining area and a flat-screen TV. The hotel has a 24-hour reception desk and free parking with closed-circuit TV surveillance for additional security. A full cooked Scottish breakfast is available each day. Hampton Court Hotel - A family run business which has the comfort of home. Recently upgraded to a higher standard. Hampton Court Hotel is a family-run establishment at the heart of Glasgow's town centre. 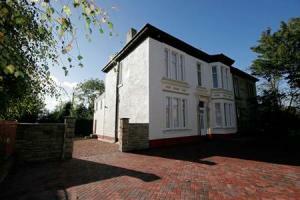 Within walking distance to Buchanan St bus station and to Glasgow Central Train Station. A friendly environment with friendly staff available at all times. Argyll Guest House - This Georgian Terraced Hotel oozes warm Scottish Hospitality and offers the perfect location when visiting Glasgow. 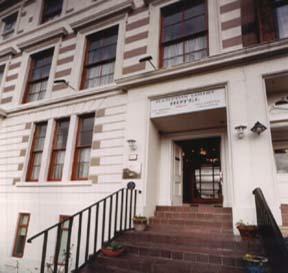 Situated only half a mile west of the city centre (just off the M8) on Sauchiehall Street, the Argyll Guest House is within minutes walk of the Scottish Exhibition and Conference Centre with Glasgow Art Galleries and Museum, Glasgow University, Museum of Transport and The Kelvin Hall International Sports Arena which provides the perfect venue for indoor pursuits, all on our doorstep. For the Mackintosh enthusiast The Glasgow School of Art, Hunterian Museum, The Willow Tearooms and Miackintosh Headquarters are all in the surrounding area. A 5 minute walk will take you to the popular Byres Road area with its lively Bars, Bistros and Shops. Kelvingrove Parkoffers picturesque walks, tennis, bowling and riverbank paths for the keen jogger. Lomond Hotel - Set in the heart of Glasgow's West End, in an excellent location just a 5-minute drive away from the city centre, this listed building boasts glorious Victorian architecture. The Lomond Hotel Glasgow offers the ideal location to take advantage of the city's sensational nightlife. You will be amongst a wealth of cosmopolitan bars, clubs and restaurants clustered around areas of the West End, such as Woodlands Road, Byres Road and the elegant Ashton lane; a cobblestone path by the Prestigious Glasgow University's campus, filled with stylish caf?s, bars, restaurants and a cinema. If you want to venture further afield, the hotel's position boasts excellent transport links; the nearest undergound stop is Kelvin Bridge, and the number 66 bus stops on Great Western road. The Georgian House - In Glasgow's West End, next to the Botanic Gardens and just 2 minutes from Hillhead and Kelvinbridge subway stations, this refurbished Georgian guest house offers free Wi-Fi and free private parking. The Georgian House has a great location, opposite cosmopolitan Byres Road and just minutes from the University of Glasgow. Opposite Oran Mor and Glasgow Botanic Gardens, the city's best restaurants and cafes are on the doorstep. Gartnavel General Hospital, the Western Infirmary and Yorkhill and Nuffield hospitals are nearby. A few minutes from Glasgow city centre, the Georgian House also makes a great base for shopping and theatre breaks. Glasgow Royal Concert Hall and the King's Theatre are nearby and the Scottish Exhibition and Conference Centre (SECC) is also within easy reach. The house is also on the main road to Loch Lomond and the Highlands. Lovingly restored and with many carefully preserved original features, this attractive town house offers comfortable, spacious rooms, including a self-catering studio apartment. Smiths Hotel - In Glasgow's West End, less than a mile (1.6 km) from the very heart of the city centre, this elegant Victorian town house is now a warm, friendly, family-run hotel offering good-value accommodation. Established in 1928, Smiths Hotel has a good location, just a short walk from Kelvingrove Park, the Glasgow Transport Museum and Kelvingrove Art Gallery and Museum. The University of Glasgow, the Scottish Exhibition and Conference Centre (SECC) and the Clyde Auditorium are only a 10-minute walk away. The heart of the city is less than 0.75 miles (1 km) to the east and is easily accessible on foot and via public transport. There is a range of accommodation to suit the needs and budget of any traveller. Most rooms have en suite bathrooms and rooms with shared bathrooms are also available. Free Wi-Fi is available in some rooms. A traditional cooked Scottish breakfast is included in the price and vegetarian alternatives are also available. Botanic Hotel - This stylish hotel is situated in Glasgow's cultured West End and a short walk from Byres Road and Ashton Lane, boasting some of Glasgow's most talked-bout bars and restaurants. Also easily accessible from the premises is the city centre, via 2 Underground stations (Hillhead and Kelvinbridge) located only a few minutes' walk from the hotel. Just minutes' walk from the Kelvinbridge Underground station, the number 66 bus stop is in front of the hotel. The Botanic Gardens and Glasgow University are within 2 minutes' walk. The Science Exhibition Centre is a 5 minute drive from the hotel. The Belhaven Hotel - Set in the cosmopolitan west end of Glasgow, a few minutes walk from Byres Road where there are some of the best restaurants, bars, coffee shops and boutique shops. All the rooms at the Belhaven Hotel are en suite and most are spacious and tastefully appointed. Room facilities include a hairdryer and hospitality tray, while most also have Freeview TV and all come with wireless internet access. Situated overlooking Great Western Road and the Botanic Gardens, the hotel is only 10 minutes' drive from the city centre and 25 minutes' drive from Loch Lomond. Mclays Guest House - McLays offers great value simple budget accommodation in the heart of Glasgow city centre. Whether your visit is for business, shopping, to take in the Glasgow nightlife or to explore the city's many museums and galleries, McLays is in the ideal location to meet all your needs. The guesthouse was originally 3 townhouses, now interlinked to provide 81 rooms. We have 58 rooms with en-suite bathroom and the remainders have access to communal bathrooms on every floor. You will find all staff members at Mclays helpful, warm and friendly. Reception staff have a depth of local knowledge which will help ensure that all guests get the maximum pleasure from their visit to Glasgow.